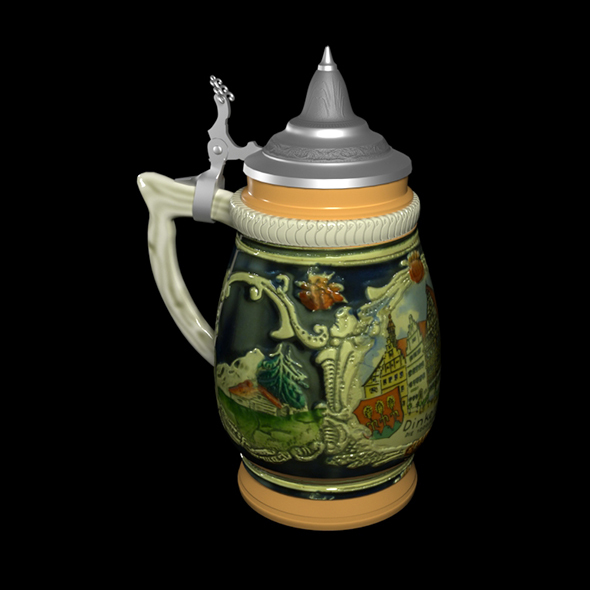 Traditional beer mug from Bavaria. Such circles are made of ceramics, painted with drawings and ornaments and covered with glaze. This souvenir was brought to me from Dinkelsbühl, little town in Middle Franconia. This is the heart of Bavaria. I have developed special software to tune-up decor pictures for transfering to cilindrical map.